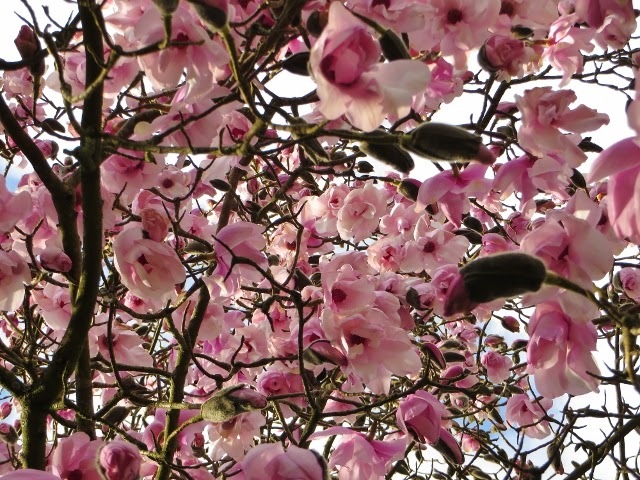 The magnolias are looking superb at High Beeches. 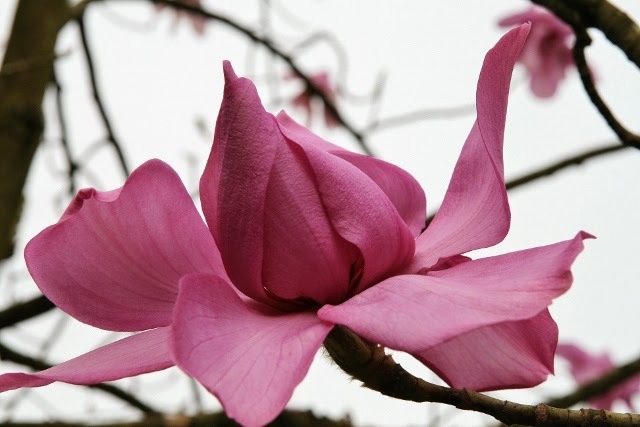 Magnolia sargentiana var. robusta one of the most beautiful of Magnolias was discovered by Ernest Wilson in 1903, although he never saw it in bloom, and named after Charles Sargent, Director of the Arnold Arboretum. Most of the older trees came from Chenault of Orleans, this is one of them. In l997 this tree was a casualty of the great storm. The decision was made to cover the root ball with top soil and to wait and see what would happen. The tree put out new shoots and although it is not quite the tree it was prior to 1997 it still flowers all over, a truly magnificent sight. 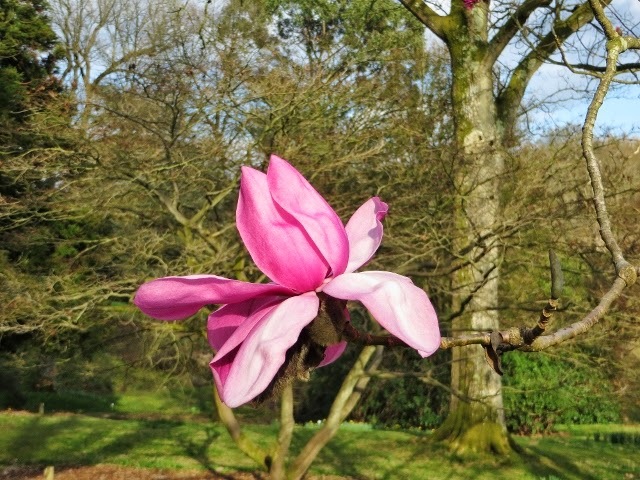 Magnolia campbellii var.campbelli x var. by George Forrest in 1924.